There are so many great universities and colleges to study in London, with a great variety of subjects to choose from. Finding uni accommodation in London that is suited to your university location is a top priority for most undergraduates. 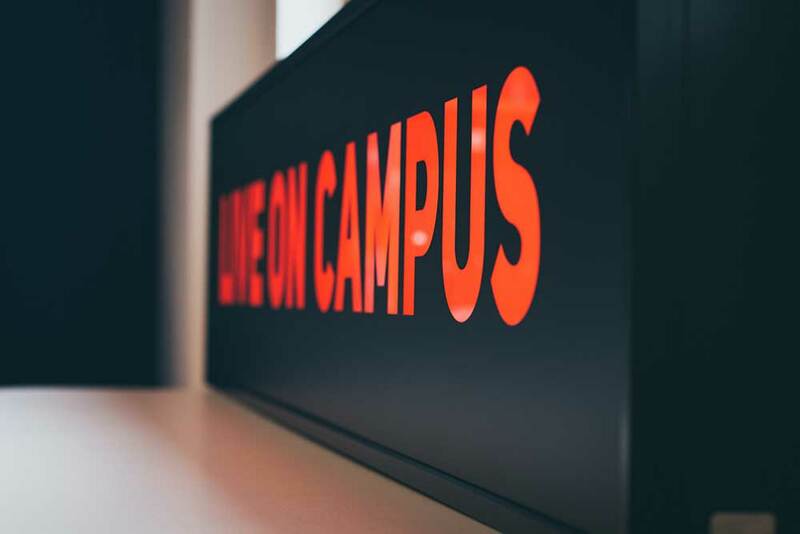 With this in mind, we have provided you with some information on some of the top universities in London and where their student accommodation is based in relation to their main campuses. Over 1/3 of King’s College students are international. It is not limited in the subjects it has to offer and has a reputation for its leading research across a variety of departments. Student Accommodation: King’s College has 5 main campuses across London: Denmark Hill, Guy’s, Strand, St Thomas’ and Waterloo. Students may have to take into account where they will be based before deciding on the right uni accommodation. London has great transport links meaning getting to campus won’t be an issue, but it’s important to remember that the distances from halls to campus vary from a 12-minute to a 45-minute commute. Highly rated across the rankings, this is a popular University with both UK and international students. Based in Bloomsbury, UCL’s central location provides students with plenty of things to do in their spare time; all within walking distance of the main campus. Student Accommodation: Like many London Universities, UCL provides it students with uni accommodation in London that remains close to its main campus. However, this is only guaranteed to first year students. LSE is the only UK University that specialises in social sciences. It is a leading University across a variety of subjects and always ranks highly across the globe. Again, LSE is another example of a University that caters to students from all over the world. Student Accommodation: LSE’s main campus can be found in Chancery Lane, a short walking distance from the city centre where you can find the British Library and all the West End theatres. LSE provides uni accommodation in London to over 4000 students each year. Students halls are dotted all around the city centre, the closest student residence is 0.2km from its main campus, while the furthest is 3.9km (a 1 hour walk). Birkbeck College is unique in that it offers students an opportunity to complete their full degree through evening classes, something that is not always offered by other London universities. Student Accommodation: Birkbeck College is located in the Bloomsbury area, close to UCL’s main campus. Without its own student halls, Birkbeck offers uni accommodation in London through partners. These partner halls are all within easy reach of the Bloomsbury campus, either on foot or by public transport. This University is well-regarded for its focus on science and technology, but the institution is also renowned for having a great business school and large medical faculties. Much like UCL, Imperial College London is extremely popular among international students. Student Accommodation: Imperial College London’s main campus is in South Kensington, close to luxury shopping areas and housing. Located in one of the wealthier areas of London can mean students struggle to find affordable accommodation privately. Keep this in mind, there are a great array of undergraduate halls available. The distance from these halls to the main campus varies from 5 minutes up to an hour and 50-minute walk. This is due to uni accommodation being spread over London in places such as North Acton and Putney Bridge. International House London is an experienced language school who promote a range of courses for international students. Students are able to learn how to teach English as a foreign language and gain the TEFL qualification, as well as learn a number of other languages. Student Accommodation: International House London provides a range of accommodation options through their accommodation department, including halls of residence, house share and homestay (for under 18s). They aim to provide all accommodation within 50 minutes of the school’s location in Covent Garden. However, demand for this can be high in the summer months. Known as the best English Language school in the UK, Wimbledon School of English promises an excellent standard of teaching and an exciting range of courses. They offer a number of language courses to suit different abilities and ages, from basic English use to advanced application in the world of work. Student Accommodation: Wimbledon School of English has a number of student residences available which are perfect for those who want their independence. For younger students, they also have a range of homestay options. In addition, there are lots of great private accommodation options situated in close proximity to the school. Stafford House London is the perfect language school for those who are looking for a flexible learning experience as it offers part-time options. It’s a popular choice for many international students, taking on over 400 students a year from countries such as Korea, Turkey, Switzerland, Brazil and Italy. The school offers a wide variety of courses, from teaching students the basics of everyday English, to helping them prepare for working life. Stafford House is also committed to providing a great social experience and they organise a range of exciting trips for students. Student Accommodation: Stafford House is committed to finding the best accommodation options for its students. They offer great homestays which are perfect for younger students, as well as student house shares for those who want a bit more independence. However, there are plenty of other options available, such as privately rented accommodation which can be found close to the school. Ashbourne College is an independent sixth form college in Kensington which is a popular choice among international students because of its success rate in exams. It is also a school which cares deeply about the wellbeing of its students and creates a friendly and welcoming atmosphere for all. Located in an attractive and peaceful area of London, it’s a great option for those looking for an English education. Student Accommodation: Ashbourne College is not a boarding school and therefore it does not have its own accommodation options. However, they are happy to advise students on where to find accommodation. There are also a number of good-quality private housing options close to the school.